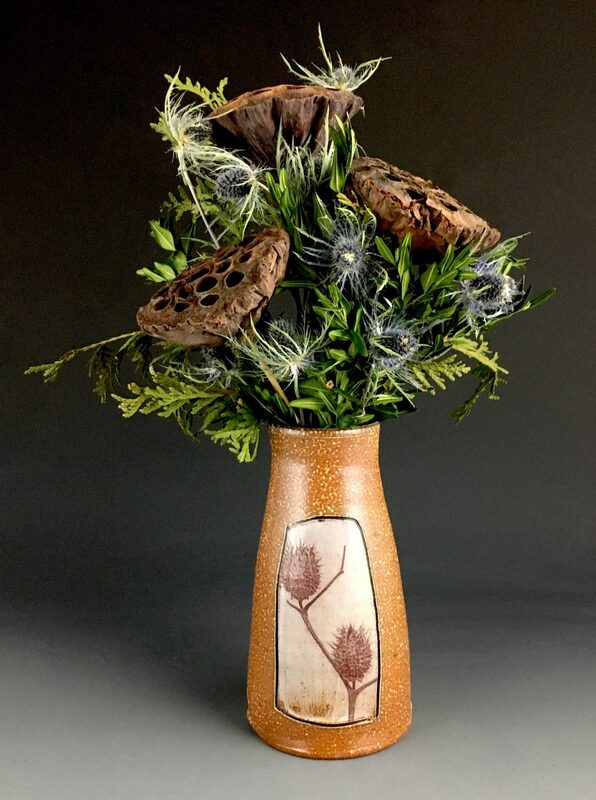 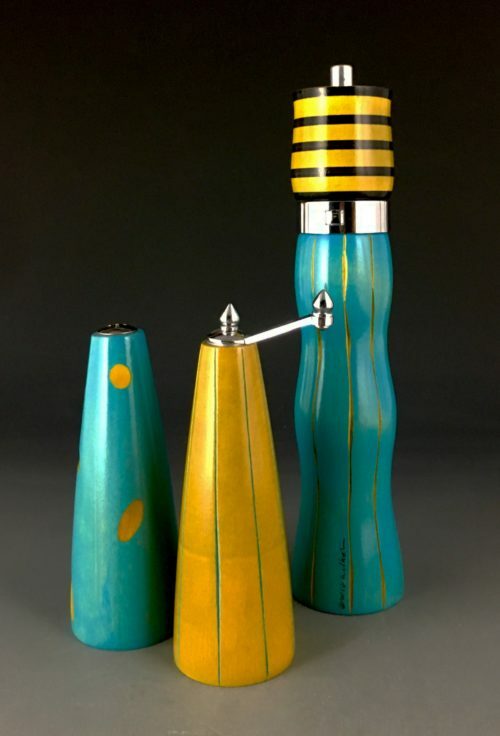 Evelyn Ward’s salt-fired vase sports the image of dried thistle seed-pods on both front and back, inspiring great dried arrangements, as shown here. 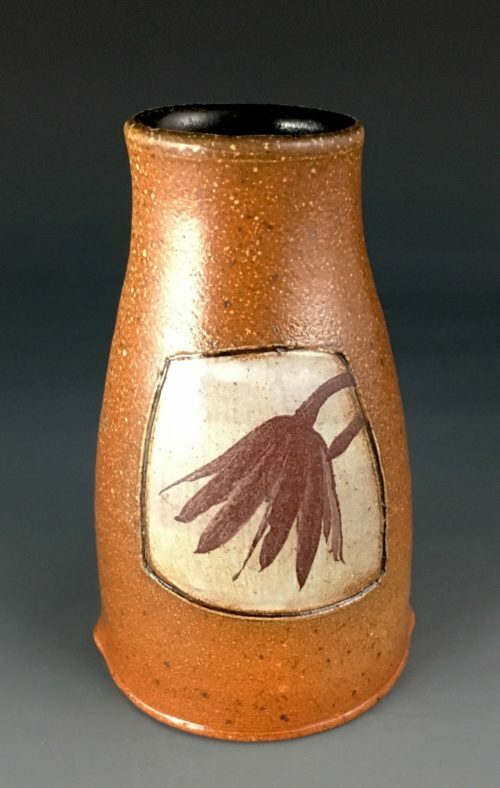 But we know from experience that this vase also looks great with pale blue lupine, and/or magenta tulips. 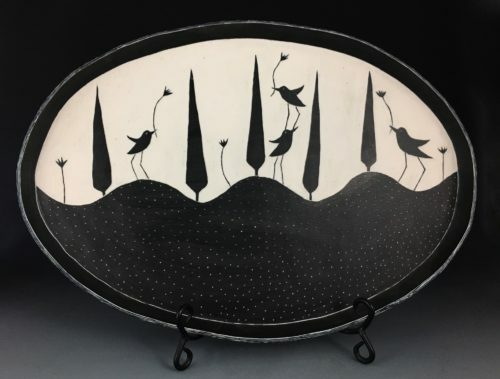 7.25″ x 4″ x 3″.